On the same day Lisa and I baked the pineapple coffee cake, we also made her delicious black-eyed pea marsala. 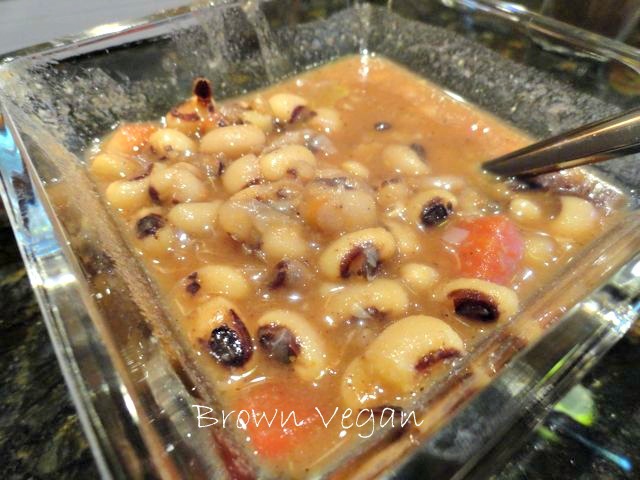 I rarely eat black-eyed peas outside of our annual New Year's Eve ritual, but Lisa's recipe proves that I need to experiment with them more. I didn't think my boys would like this dish, but they enjoyed it just as much as I did. Watch Lisa make this recipe in the video below. She also shows us how to use a pressure cooker. Visit Lisa's blog for more recipes and holistic wellness.